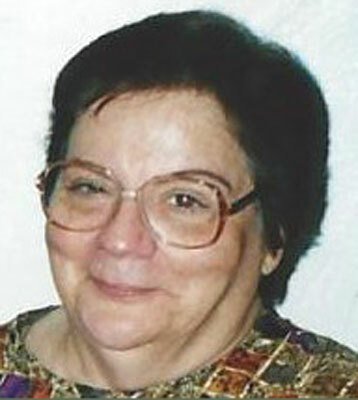 YOUNGSTOWN – Janet A. DeCola, 71, died Saturday evening at St. Elizabeth Medical Center in Boardman. Janet was born Sept. 17, 1941, in Massillon, a daughter of Domenick and Victoria (Staken) Babtist. She was a 1957 graduate of Canton McKinley High School and worked as an Educational Assistant for Youngstown City Schools, retiring in 1995. Janet was a member of St. Luke Catholic Church. She enjoyed cooking, reading, bingo, and spending time with friends and family. Her greatest joy was spending time with her five grandchildren. Her husband, Frank Domenick DeCola, whom she married Nov. 29, 1958, died Dec. 14, 2009. She is survived by three daughters, Jean (George) Schidell of Boardman, Victoria (John) Thompson of Avon, and Patty DeCola at home; two sons, Ron (Michele) DeCola of Poland and Frank R. DeCola of Matthews, N.C.; five grandchildren, Michael Schidell, Michael and John Thompson and Anthony and Mia DeCola; one brother–in-law, John (Charlyn) DeCola of Howland; and one nephew, Christopher of Howland. A Mass of Christian Burial will be Tuesday at 10 a.m. at St. Luke Catholic Church, with Fr. Joseph Fata officiating. Friends and family will be received Tuesday from 9 to 9:45 a.m. at the church. Entombment will follow at Green Haven Memorial Gardens in Canfield. The family requests that memorial tributes take the form of contributions in memory of Janet and Frank to University Hospitals, Pancreatic Cancer Research, University Department of Development, MCCO-5062, 11100 Euclid Ave., Cleveland, OH 44106 or by going to www.uhgiving.org. Please share your memories of Janet.